A classy, full bodied bean with a very complex aroma of liquorice and toffee. This coffee excites enthusiasts not only by its rich, luxurious flavour but also with its relatively low availability. The growing region of Mandalay is in the foothills of the Himalayas through several hours of rural country tracks making it one of the more difficult places to cultivate coffee. Nevertheless, Myanmar has produced an outstanding crop offering an individual taste and sweet lingering acidity. The base of this crop was planted by Scottish inhabitants in the 1930’s – back when the country was known more commonly as ‘Burma’. The recent change in political status has allowed more exports of coffee, pleasantly introducing itself as one of the most exciting new coffees to come out of South East Asia. These shade grown crops are grown at a medium/high elevation allowing the deep aromatic flavours to develop over time. The ancient trees in which they grow underneath also prevent soil compaction and erosion to increase the sustainability of these beans for years to come. If earthier but subtly sweet flavours are your thing, why not add this to your 3 for £18 selection. Enjoy black or with a splash of milk to mellow the flavours. 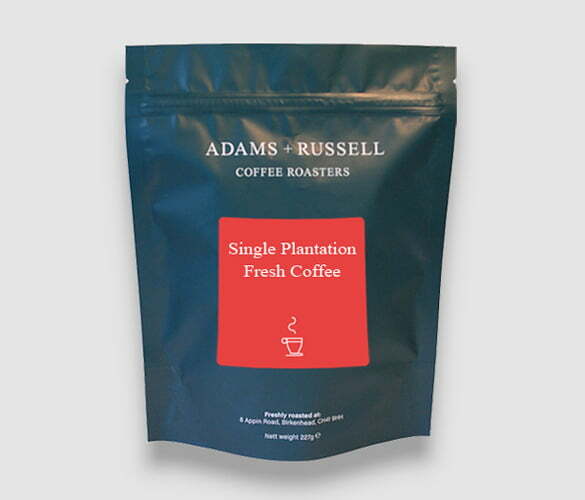 We roast only in small batches and is freshly sealed and delivered within days of roasting. 1885 – Missionaries initiated coffee growing at Myeik and Dawei. 1930 – Catholic missionaries introduced Arabica. 1930-1934 – A large (120 acre) Arabica plantation called “Chaungwe” was established at Naung Cho. 1935/36 – The country produced 268 tons of beans. 1968-1994 – Ministry of Industry 1 managed the coffee state farms. 1994 – Ministry of Agriculture & Irrigation carried out the cultivation and production of the crop where it remains to the present day. 1998 – The GOM Heads of Stat laid down a strategy to extend cultivated areas of Arabica up to 100,000 acres. 2005 – The total planting of coffee was 35,485 acres. The country receives about 1600mm of rainfall every year, which is optimal for the beans. With temperatures ranging from 2°C to 39°C, this is just another factor that adds to the high quality of these beans. These beans are also grown at an elevation of 1200m – 1300m. Also known as the wet process, this is where the cherry is pulped by a machine to remove the outer layer of skin. Once this layer has been removed, the beans are then fermented for at least one or two days. It can be even longer than this depending on the desired flavour. Finally, the beans are washed to remove the mucilage, so the aromas can be released. I am always looking for unusual coffees and decided to try this one. It is an interesting choice, especially for those who prefer more acidity in their brew. For me, its body was somewhat thinner than I like but it is definitely worth a punt.